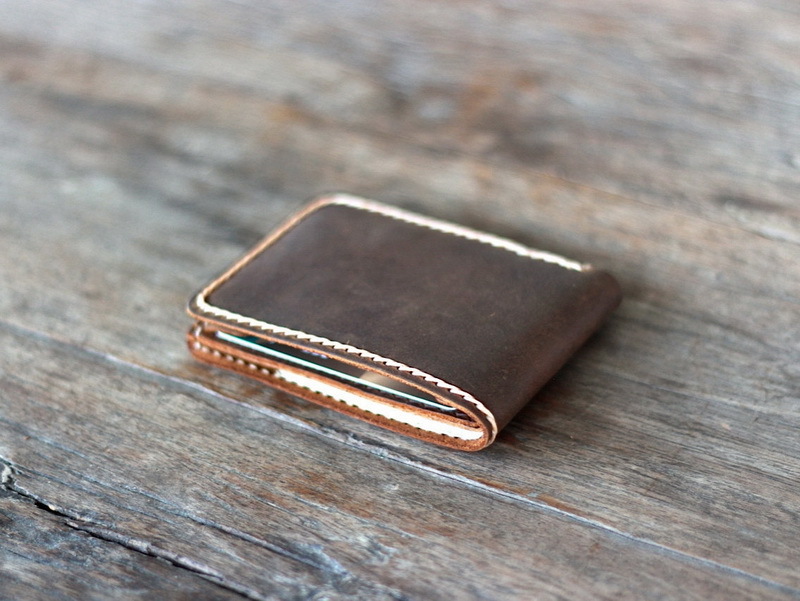 Invest in our classy product leather bifold wallet to avail numerous benefits. 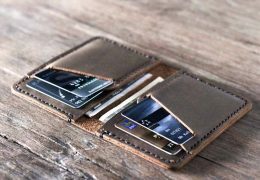 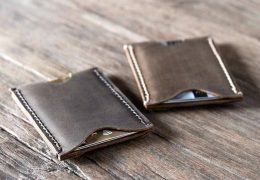 The fact that the wallet sports a bifold mechanism makes it rich in simplicity. 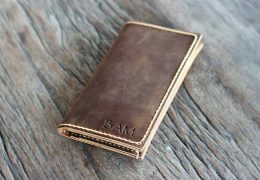 The fact that it is slim lets it slither in perfectly in your pocket. 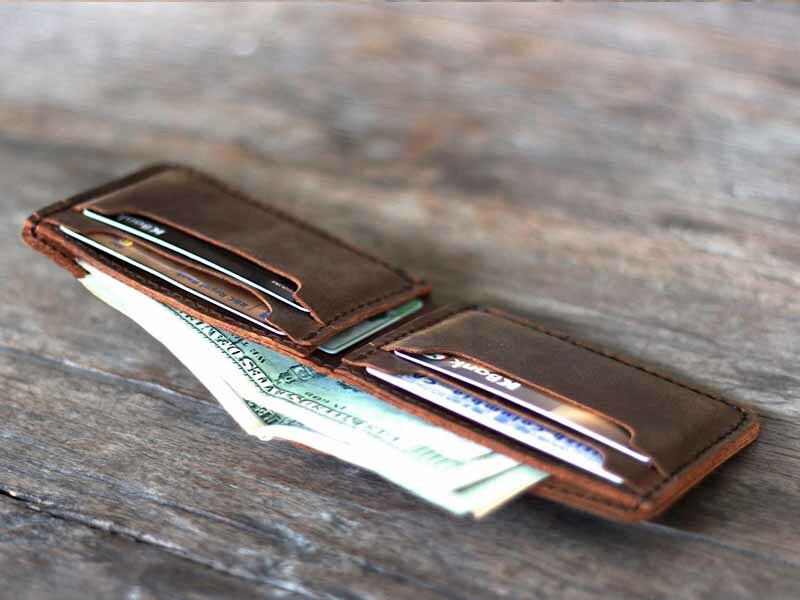 With ample room to store your stuff the slim bifold wallet serves you perfectly. 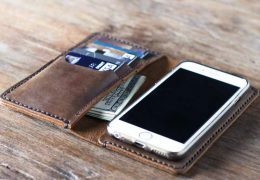 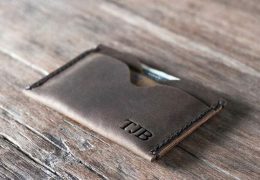 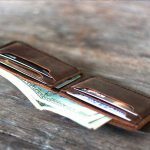 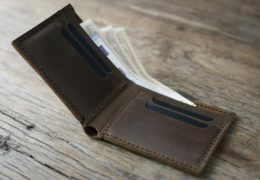 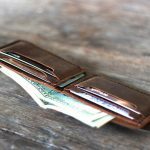 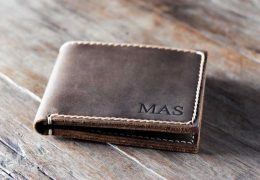 With dimensions for USD currency: 3.25″ by 4.25″ and UK & Euro Currency: 9.5 cm by 11 cm, the wallet retains ample space for almost all types of currencies. 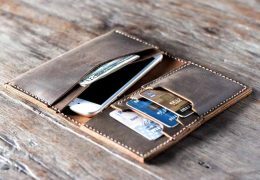 It also sports 4 pockets intended for your credit and business cards. 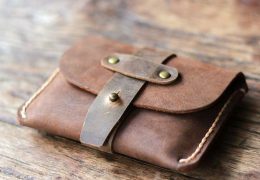 There is enough room for your papers, notes and other valuable stuff to be squeezed in. 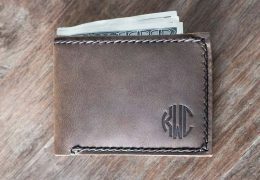 You can also place your cash as it features one large pocket especially carved for it. 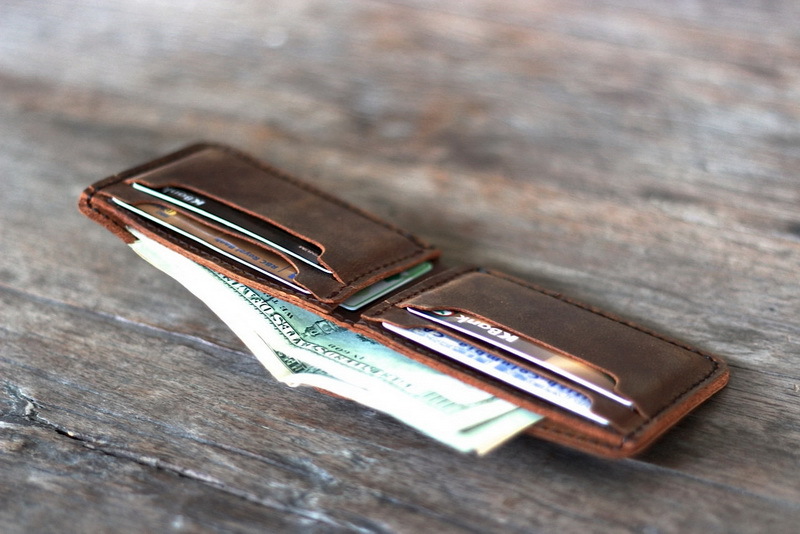 Money doesn’t need to be folded whilst putting it in. 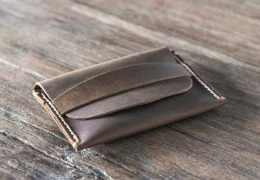 The product is created with the aid of distressed leather which is first grade leather with fully grained texture. 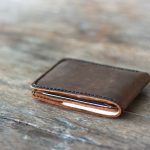 There are numerous benefits of using distressing process to bring out the best in a handmade product. 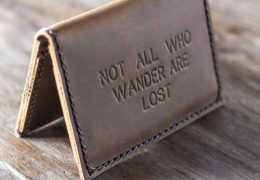 Let us have a sneak at that. 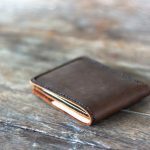 Why opt for distressed leather? 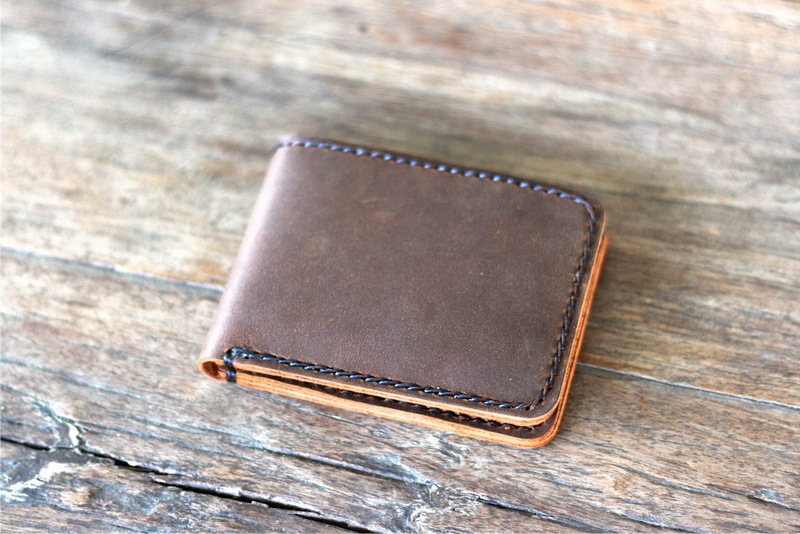 Distressed leather ages perfectly. 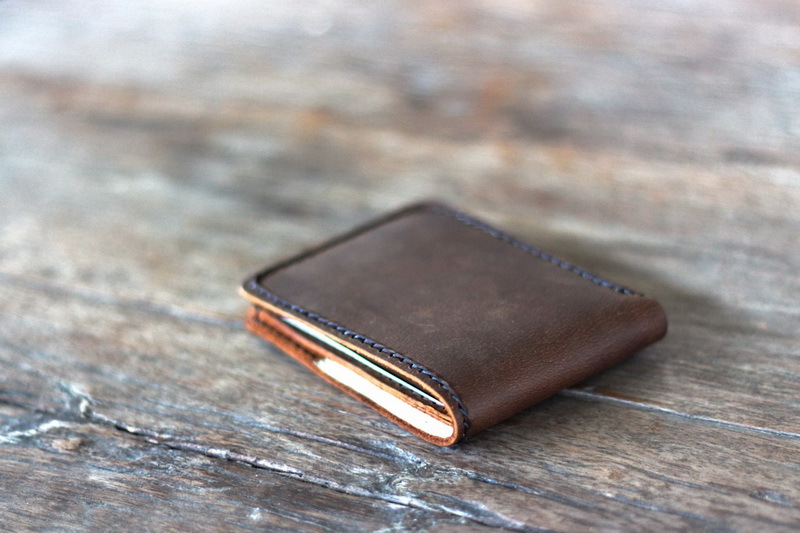 Aniline leather types are considered to be the best since they are dyed with soluble dyes. 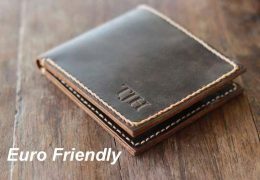 This helps in retaining the natural surface of the hide by making minute grains prominent. 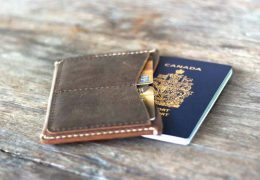 Every bit, visible pores, marks and scars of the animal skin in question get retained. 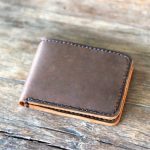 This exhumes a unique modish appearance to the leather. 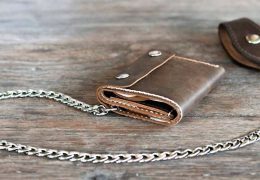 It is quite a big thing in the world of fashion. 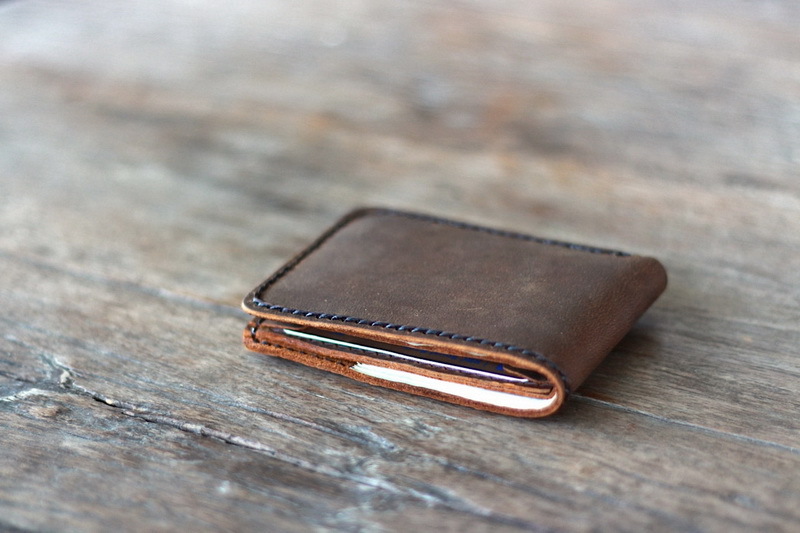 The weathered look that the product emanates as it ages is one of the most sought after textures. 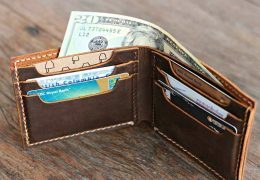 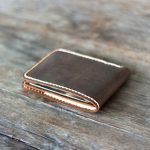 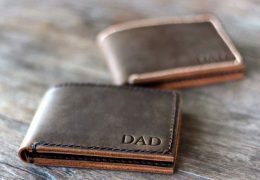 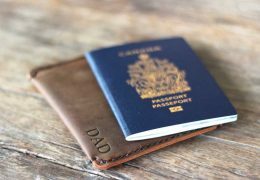 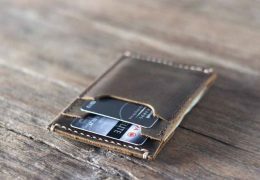 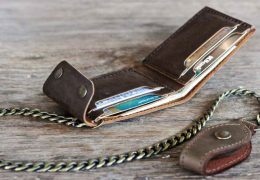 The bifold leather wallet we offer literally sizzles in the patina of the leather that goes through distressing process.